WARNING: This post may contain Too Much Information. Turn away now if you don't want to learn about what I found so very fascinating today. My first full day in Dubai was lovely. It's 80*F and sunny and delightful. I think it's snowing at home. I enjoy taunting my husband with photos of me in the sunshine, playing in the desert while he is getting ready to shovel snow. Good thing he likes me, right? Notice the hose? And no toilet paper? Yeah, I noticed that too. To redeem this post and move the ratio of potty pictures vs. non-potty pictures from 2:0 to 2:1, I want to share this photo of a camel. Camels are very, very tall and they live in the desert. Just a few things I learned today. 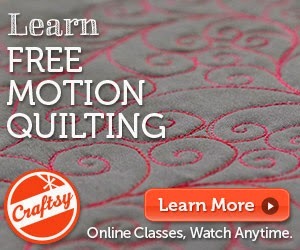 I start teaching longarm quilting classes in the morning. Maybe I will be able to post pictures that don't have potties in them? Funny. At least you have toilets--and not just a hole in the ground! How many are in your long arm classes? Is quilting popular in Dubai? Do the ladies (I'm assuming) speak English? Do you have to dress a certain way (i.e. head scarves, etc) when in public or when teaching? I live in Poland (I am American, tho') and have visited Egypt multiple times, Turkey 2x, Tunisia 1x, Israel 2x, etc but not Dubai, though it is a popular tourist destination and getting more popular all the time for Polish people. Am delighted that you are posting what's around you--thanks so much! Alrighty then......so start eating with your right and hand doing "everything" else with the left. No using the "S" word while I am in NYC! 2. Isn't that TP between the fixtures?